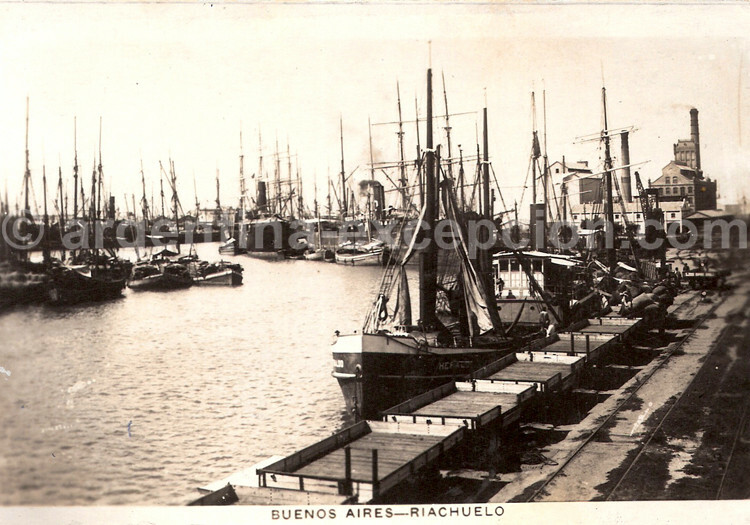 During the XXth century in Argenina, there was a golden age but also two military dictatorships and Perón. 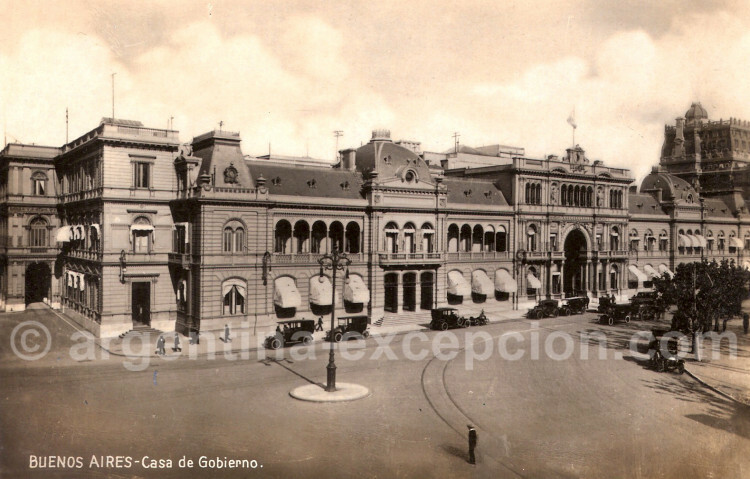 1929 Crisis had disastrous political consequences in Argentina: in 1930, Campo de Mayo troops took over Buenos Aires and General Uriburu took over the presidency. From then on, the army was in charge of the country for over fifty years. Uriburu was followed by Justo (1932-1938), Ortiz (1938-1942) and Castillo (1942-1943). On June 4, 1943, the “Colonel” coup d’état took Rawson to the presidency and then, Ramírez and Farrell. 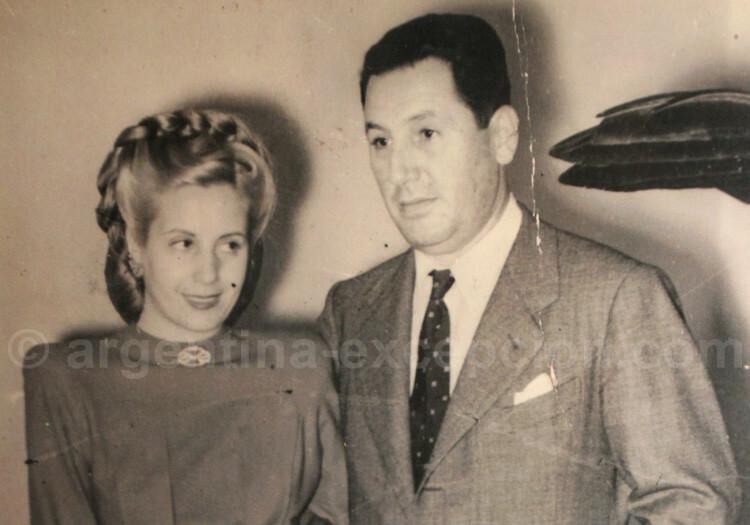 On October 17, 1945, Colonel Juan Domingo Perón, who had been the Ministry of Labor, took over the presidency with the help of Eva Duarte. This admirer of Benito Mussolini and Franco had himself elected as President in February, 1946. The first years of his presidency were of utmost importance for Argentina: the years after the World War and the great need for food all around the world ensured the prosperity of the country. This enabled Eva Duarte, who became Perón’s wife, to enforce social measures and to grant women the right to vote. But Perón’s regime was soon weakened: Eva Perón’s death in 1952, the growing opposition of the Church, the loss of interest in the Army and the hostility of the United States led to the destitution of Perón on September 6, 1955 and gave way to the Liberating Revolution. Pedro Eugenio Aramburu became the President and abolished the National Constitution amended in 1949. With the marginalization of the Peronista Political Party, some domestic conflicts started to appear. In 1958, the election of President Arturo Frondizi took place with the support of Perón followers who were always active but in disparity. Frondizi was removed from his office by a coup d’état in 1962. The Supreme Court appointed José María Guido as the President with the support of the Military Assembly. 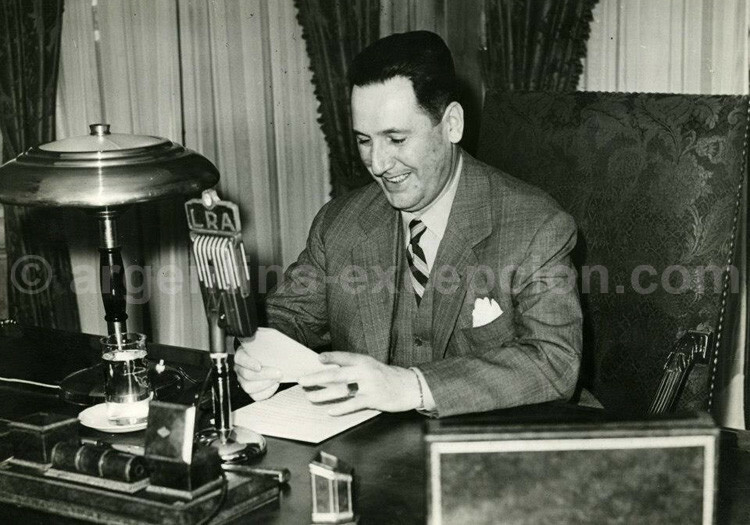 The presidential elections held on July 7, 1963 led Arturo Umberto Illia to the victory. 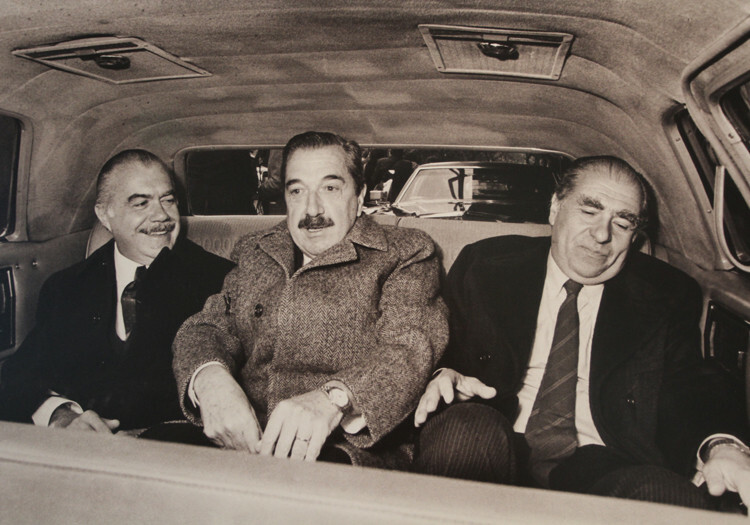 He lifted the prohibitions over Perón followers… taking them to an electoral victory in the legislative elections in 1965. A new coup d’état led General Juan Carlos Onganía to the presidency on June 28, 1966. 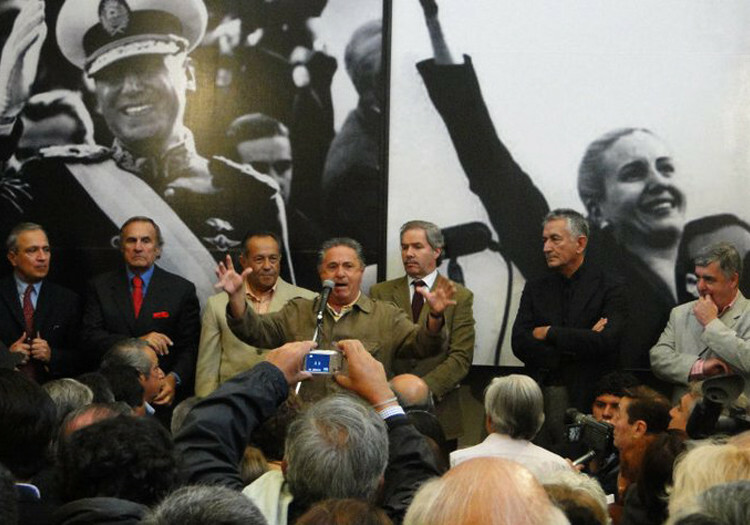 There were military governments up to 1973 when Alejandro Lanusse, President as from 1971, tried to put an end to the dictatorship organizing democratic elections. Perón won the elections and became President again in 1973. Terrorist acts carried out by extremists forced Perón to adopt emergency measures. After his death on July 1, 1974, his third wife, Isabel Martínez de Perón, faced the same difficulties worsened by the economic problems. 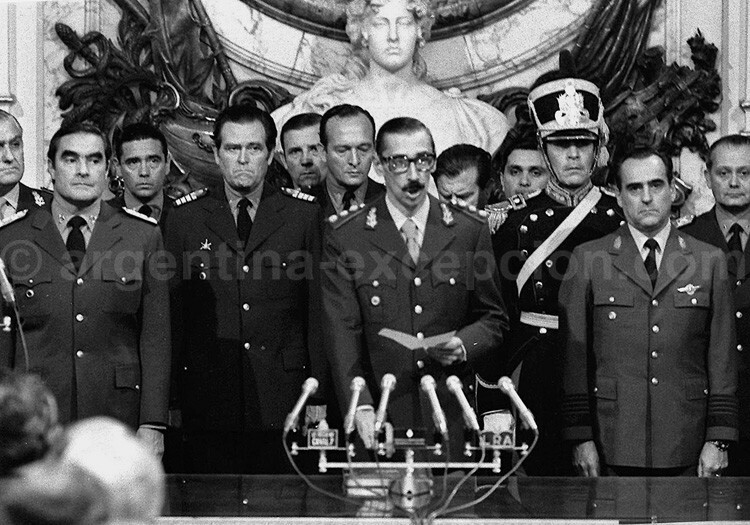 After the eviction of the President from her office by a coup d’état on March 24, 1976, a military assembly governed Argentina through December 10, 1983, first Videla, Viola and then Galtieri, a period called “the dirty war”. Argentine secret service stopped, kidnapped, tortured and killed those that were considered dangerous. It is during this period that the Falkland war occurred, at the end of which Argentineans were defeated by the British (March-June 1982). This episode entailed the replacement of Galtieri by Bignone. The elections in March 1983 were the starting point for the return to democracy with the arrival of Raúl Alfonsín to the presidency. He restored the public institutions as well as the constitutional rights and duties. As to foreign affairs, Argentina solved a border conflict with Chile and entered into a peace and friendship agreement. In 1985, Argentina reconciled with Brazil. Foz do Iguaçu Statement entered into would later give birth to Mercosur, a free trade area of South America. A record inflation affected the country and led to the electoral defeat of Alfonsín’s political party at the anticipated elections in 1989. Carlos Menem (justicialista political party, descendant of peronismo) was the next president. He enforced a very liberal policy. Inflation was strongly reduced but unemployment remained high. From the diplomatic viewpoint, he entered into Asunción Treaty on March 26, 1991, founder of Mercosur, firstly with Brazil, Paraguay and Uruguay. After the second presidency of Menem, Fernando de la Rúa (UCR, Unión Cívica Radical) was elected as President. He faced a serious economic recession, public demonstrations that ended up in the famous pot-demonstrations. De la Rúa violently tried to control this movement and made things worse. He had to abandon the presidency as well as his successors. Eduardo Duhalde was eventually elected by the Parliament and restored the situation with the support of a government full of peronistas. He adopted unpopular but effective measures, the suppression of the Argentine Peso- US Dollar parity, among others. As the economic crisis was calming down, new elections were held in May 2003 that took another peronista to the power: Néstor Kirchner. He arrived to negotiate the reduction of the Argentine indebtednesswith the creditors. He separated from the United States and devoted himself to strengthen the relationships at Mercosur. However, he faced some difficulties with Uruguay. 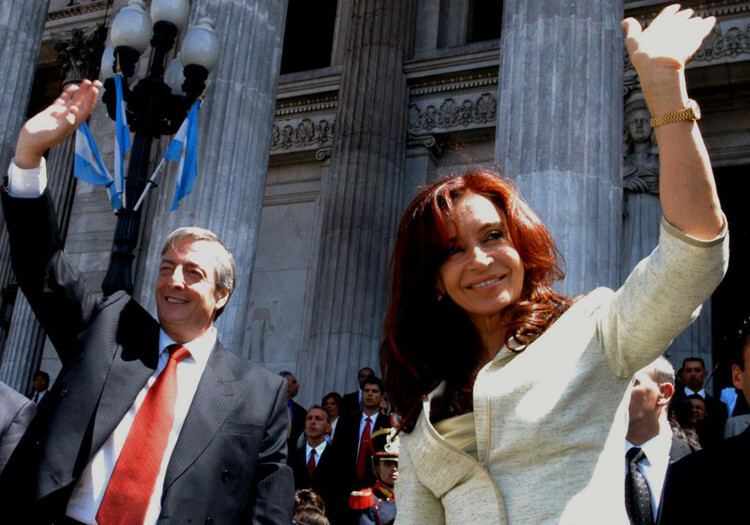 In domestic affairs, Kirchner put an end to the immunity of criminal dictators abolishing the Amnesty Laws imposed by Menem.